continually develops and improves its impellers. SOLAS sponsored a great deal of professional racing teams including Chris Fischetti, Chris MacCluggage, Dustin Farthing, Dustin John Motzouris, Eric Malone, Jeff Jacobs, Karine Paturel, Lloyd Burlew, Nicholas Rius, Rick Quelch, Rick Roy, Tera Crismon, Tracy Lathwood, and many other well-known racers around the world in the past years. The outstanding success of SOLAS sponsored riders demonstrated the proven excellence of the SOLAS Impellers. The valuable design feedback from these world-class racers supports the creation of SOLAS perfect geometry in all kinds of PWC applications. 1.Remove and separate the whole jet pump from the PWC. 2.Remove the tail cone (or cap) from the stator. 3.Hold the rear end of the shaft with a bench vise. 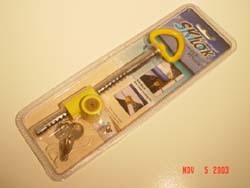 Remove the impeller with an impeller wrench. Turning counter clockwise will loosen the impeller. 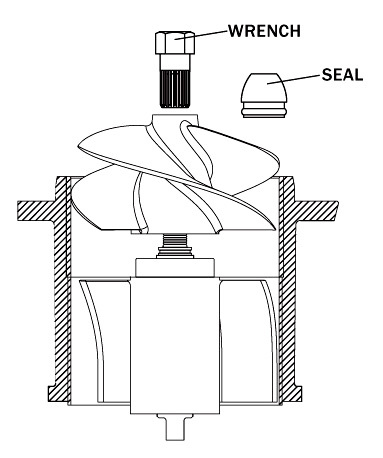 4.Visually inspect thread on shaft & impeller for debris or damage. Apply grease or anti-seize on the thread before installation. 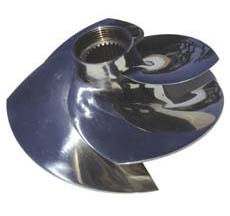 5.Screw in the impeller by hand; be careful of the sharp edges of the impeller. Tighten with the impeller wrench. If the impeller feels too tight or not threaded properly, unscrew the impeller, clean and check the thread. 6.Assemble the pump and put it back on the PWC.